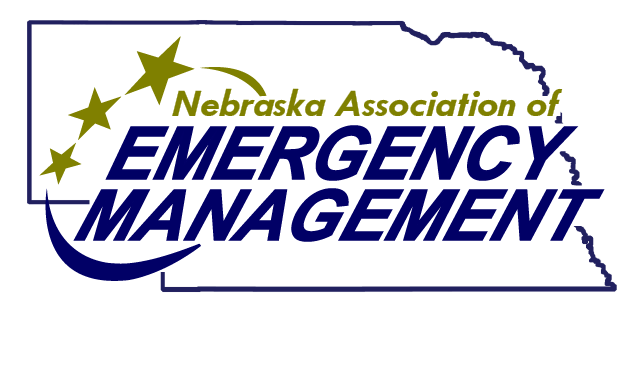 Thank you for joining or renewing your membership to the Nebraska Association of Emergency Management. Professional membership any person working directly with emergency management, or who may have a primary responsibility in the field of emergency management, emergency response for a political subdivision such as county, city, or other local unit of government. Professional members have full right to vote and hold offices. Departmental membership consists of emergency management agencies that are part of a local subdivision as outlined in the professional membership above. Department membership includes 6 professional memberships. Each additional professional membership after 6 is $25 per professional membership. Associate membership is offered to business and industry, or any person who support the goals of NAEM, or provides a service and/or product in the field of emergency response. An associate member shall have no voting privileges and must be sponsored by a professional member. Retired membership includes a person working directly with emergency management, emergency services, or public service that is retired from for or part time employment and works on a volunteer basis. Retired membership shall include any past professional member who is now retired. A Retired Member shall have no voting privileges. Student membership is available to any student currently enrolled in an accredited higher education program (full or part time) in emergency management and/or homeland security. Proof of current enrollment is required. A Student Member shall have no voting privileges. Department Membership - Additional Member - $25.00 (USD) Subscription period: 1 year, on: January 1st No automatically recurring payments Additional member to department membership when there are more then six members - ONLY USED WITH DEPARTMENT MEMBERSHIP.